When I was eighteen, I was fortunate to have two songs that I wrote recorded by The Del Vikings. They were a top group having just come off two big hits, Come Go With Me and Whispering Bells. Because of that, I was able to get a job sweeping floors and shipping orders for a record company. But, I was now in the record business. Six months later, I got promoted. I became our company’s regional sales and promotion rep for acts like Buddy Holly and The Crickets, Jackie Wilson and a host of other great acts. I was getting paid for doing what I loved. 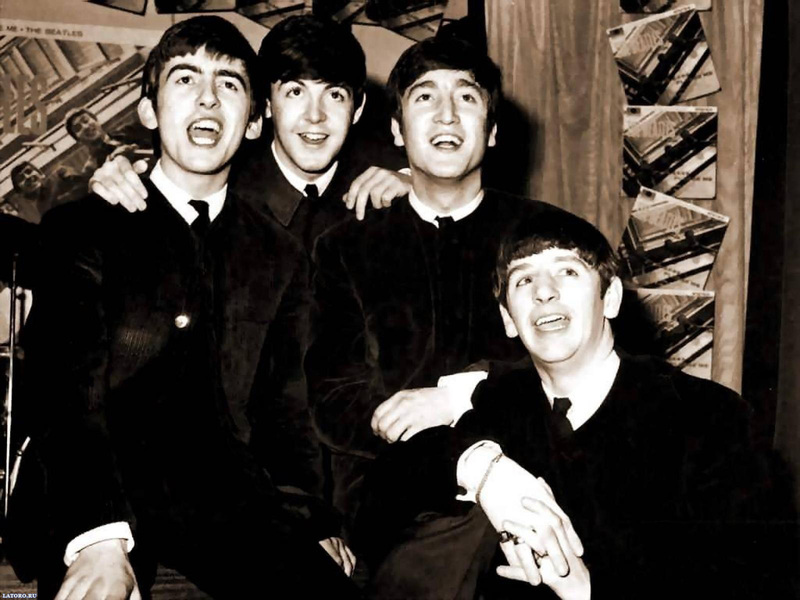 In 1963, I was promoted again and became the manager of the record distribution company and because of my position, I came across an act that hardly anyone in the US knew, called The Beatles. The Beatles had two records on Vee-Jay, Please Please Me and their second release wasFrom Me to You. Later that year, a third song on Swan Records called She Loves You was released. In 1963 none of these records received much play or sales in America, even though they were big sellers in England. People in the US just didn’t think singers from England made good records and paid little attention. Through my position in the record business, I heard their songs and was immediately convinced before anyone else, they were going to be big. I wanted to bring them into the Civic Arena in Pittsburgh for a concert. The problem that I faced was that the William Morris agency in New York didn’t know how to contact them. When they finally learned who represented the act, the GAC Agency in New York beat them to it and signed the act for US representation. 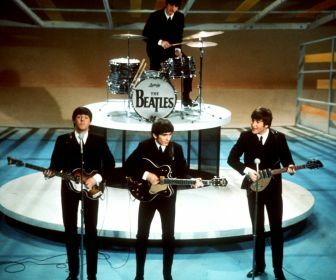 Even though I might have been one of the first in the US to want to bring The Beatles in to do a concert, by now everyone knew of them and wanted to do the same. Their first record in the US, Please Please Me, was released on February 7, 1963 and didn’t mean anything as well as their second release From Me To You which was released by Swan Records on May 11. Still, I was convinced of their star potential when most people never heard of them. In all the years that I have been in the music business, I have never witnessed anything like The Beatles sudden rise to fame in the US. Although it wasn’t, it seemed like it was an overnight success. One day no one knew who The Beatles were, and suddenly someone turned the switch on and WOW, there they were! Now everyone wanted them and couldn’t get enough. The people had to know every little detail and wanted all of their music. Those records that sat around for most of the year now were in demand, especially I Want to Hold Your Hand which was released on December 27, 1963 and only on an LP on Capitol. Being persistent, my partner Tim Tormey, who I worked for in the record business and I got the date for the Civic Arena. The date was set for September 14, 1964 … exactly 49 years ago. Obviously, next year September 14, 2014 will be the 50th anniversary of that date. I would like to memorialize that historic date by presenting a tribute version of the show. On that stage fifty years ago was The Bill Black Combo, The Exciters, who had a hit called Tell Him,Clarence “Frogman” Henry who had a hit called Ain’t Got No Home, and Jackie DeShannon who is most known for, What the World Needs Now and Put a Little Love in Your Heart. I am thinking about producing a show for that date next year but, the question is, what type of show to present? There are many “tribute” Beatles bands. That is a must. But I was also thinking of having “Tribute” acts of the singers who most influenced The Beatles in the early mid-fifties on like Elvis, Buddy Holly, Little Richard, Chuck Berry, Jerry Lee Lewis, The Everly Brothers, Carl Perkins, Gene Vincent, and a host of others. I’m sure you have some of your favorites. We could have all of these “Tribute” acts as opening acts to a Beatles “Tribute” act who would close the show. A fter I did all of this thinking, I came up with this idea … Why not write a musical based on the first chapter of my forthcoming book called Hard Days, Hard Nights. I have just completed the book and am currently seeking publication. It’s a memoir about my life in the concert business working with artists like The Beatles, The Rolling Stones, Janis Joplin, The Doors, and many more big acts. The musical would tell the story of how John Lennon formed The Beatles and the challenges and conflicts that I had to overcome to bring the act in for a concert. I would use all the music that influenced The Beatles by bringing in “Tribute” acts or have actors who could act the parts as well as play and sing. I have begun writing the script for this musical. If you have ever written a book or attempted to, you know there is such a thing as writer’s block, which I am currently experiencing. But, I am confident that I can deliver the script. I’d love to hear your suggestions about this exciting idea.